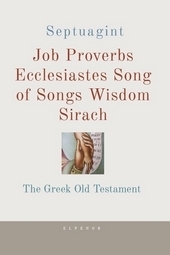 The Book of the All-Virtuous Wisdom of Joshua ben Sira, commonly called the Wisdom of Sirach or simply Sirach, and also known as the Book of Ecclesiasticus (abbreviated Ecclus.) or Ben Sira, is a work of ethical teachings, from approximately 200 to 175 BCE, written by the Jewish scribe Ben Sira of Jerusalem, on the inspiration of his father Joshua son of Sirach, sometimes called Jesus son of Sirach or Yeshua ben Eliezer ben Sira. 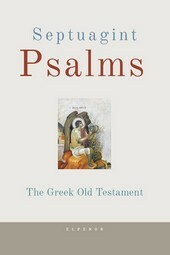 In Egypt, it was translated into Greek by the author’s (unnamed) grandson, who added a prologue. This prologue is generally considered the earliest witness to a canon of the books of the prophets, and thus the date of the text as we have it is the subject of intense scrutiny. 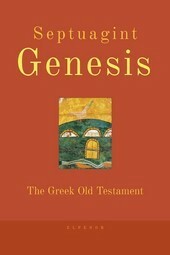 The book itself is the largest wisdom book from antiquity to have survived. Sirach is accepted as part of the Christian biblical canons by Catholics, Orthodox, and most Oriental Orthodox. The Anglican Church does not accept Sirach as protocanonical, and say it should be read only “for example of life and instruction of manners; but yet doth not apply them to establish any doctrine.” Similarly, the Lutheran Churches include it in their lectionaries, and as a book proper for reading, devotion, and prayer. 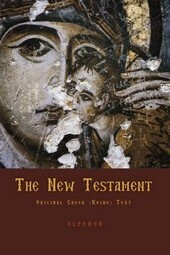 It was cited in some writings in early Christianity. 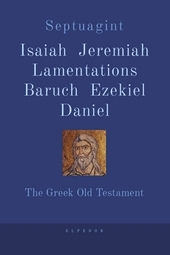 There are claims that it is cited in the Epistle of James, and also the non-canonical Didache (iv. 5) and Epistle of Barnabas (xix. 9). Clement of Alexandria and Origen quote from it repeatedly, as from a γραφή, or holy book. The Catalogue of Cheltenham, Pope Damasus I, the Councils of Hippo (393) and Council of Carthage (397), Pope Innocent I, the second Council of Carthage (419), and Augustine all regarded it as canonical, although the Council of Laodicea, of Jerome, and of Rufinus of Aquileia, ranked it instead as an ecclesiastical book. The Apostolic Canons (not recognized by the Catholic Church) stated as venerable and sacred the Wisdom of Sirach. The Roman Catholic Church declared it to be canonical in 1546 during the fourth session of the Council of Trent. Sirach is not part of the Jewish canon, once thought to have been established at the hypothetical Council of Jamnia, perhaps due to its late authorship, although it is not clear that the canon was completely “closed” at the time of Ben Sira. Others have suggested that Ben Sira’s self-identification as the author precluded it from attaining canonical status, which was reserved for works that were attributed (or could be attributed) to the prophets, or that it was denied entry to the canon as a rabbinical counter-reaction to its embrace by the nascent Christian community. 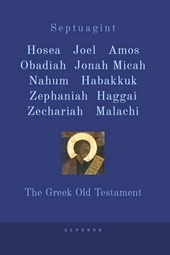 However, some Jews in the diaspora considered Sirach scripture. 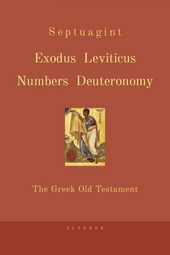 For instance, it was included in the canon of the Septuagint, the 2nd century BCE Greek version of the Jewish scriptures used by Diaspora Jews, through which it became part of the Greek canon. The multiplicity of manuscript fragments uncovered in the Cairo Genizah evidence its authoritative status among Egyptian Jewry until the Middle Ages.